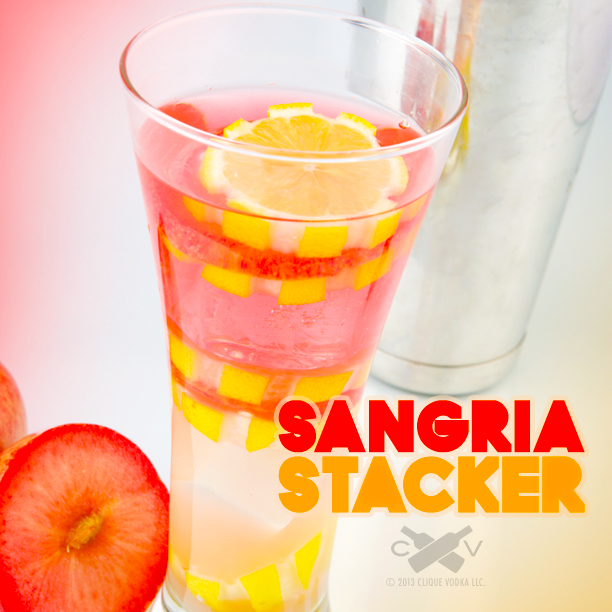 Take your sangria to the next level by stacking it! Sangria is undeniably the most loved wine cocktail, probably because it’s so versatile. You can make it with red, white, or rose wine and basically any fresh fruit you have lying around. For the endless flavor possibilities you can come up with for a batch of sangria, one things is always the same, the presentation. A large bowl or pitcher with some fruit bouncing around definitely isn’t the worst presentation in the world- but let face it- it could be a bit easier on the eyes. In honor of whomever first decided to mix wine with fruit, sugar, and hard liquor, I’ve decided to up the sangria game and stack it in hand crafted single servings. The idea for this cocktail originated after a trip to the market surprised me with some very lovely plucots. A plucot is apparently a plum and apricot hybrid with brilliantly striped skin and a juicy flesh that just screamed sangria, so in order to make sure the cocktail was as enticing as the fruit itself, I got a little creative. 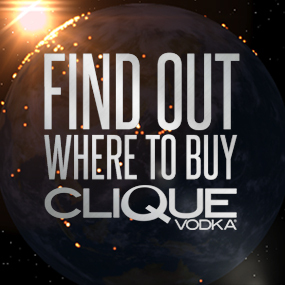 Take half a fresh plucot or regular plum, and muddle it with 1 oz Clique Vodka and 1/4 oz simple syrup (1 part sugar dissolved in 1 part hot water) in a cocktail tin. Add ice, shake and set aside. Using a channel knife, cut strips of lemon peel off a lemon from pole to pole, all the way around and cut it into gear-shaped slices. 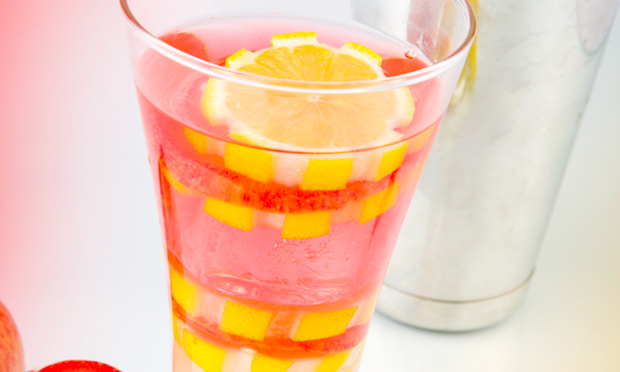 To stack the cocktail, place a tight fitting lemon slice at the bottom of a tall glass, and strain in the muddled liquid. Add an ice cube or two to help keep thenext lemon slice in place, just at the top of the liquid line, and top it with a sliver of plucot and another lemon slice. 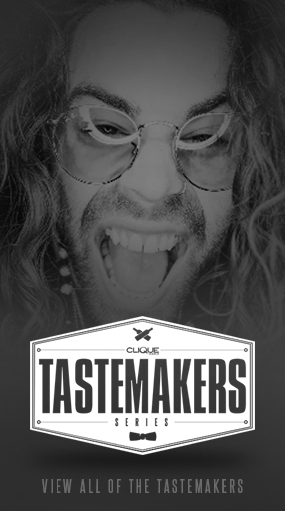 Slowly top with chilled white zinfandel, another cube or two, and some fruit slices for garnish. To serve, just insert a straw through the middle of the fruit slices, all the way to the bottom, so the drinker can try each half by itself before mixing the two. You can also use the straw to poke the lemon slices until you reach your desired tartness!